As a parent, there’s nothing more frustrating than when you’ve spent time cooking and preparing a meal, only for it to be greeted with the dreaded word, Yuck! Quite often this scenario ends in one or more parents hurrying around, throwing together a mixture of meals to please all the little tummies at the table- but this leads to more frustration as mealtimes become a battleground! So what came we do to combat these fussy little people? We don’t claim to be experts but we are experienced with mealtime battles, so we’ve put together some tips and tricks for dealing with fussy eaters- let us know if you try any and how it went! First of all, it might help you to know that you most certainly are not alone if you have a fussy eater at home. At least every family has experienced this and often it’s a normal part of growing up. Please don’t compare your child to anyone else’s- this will only lead to frustration and upset and there’s enough of that already when your toddler is throwing a tantrum over tonight’s meal choice! Remember that your child is unique with individual tastes and opinions, and nothing you do is going to change that. So let’s work with it, shall we? If your child is old enough, ask them to help you plan out the meals for the week, or maybe just for the day if you’d prefer. Ask them to choose the foods that they like and try to put them into each meal if you can. Hopefully, this will be an incentive for your child to try something new at dinner time. Another way to get the kids involved with meal planning is by asking every family member to choose their favourite meal, and pick a day of the week to have that meal. When it’s your turn, everyone else in the family has to eat what you’ve chosen, and then on other days you have to eat what someone else has chosen. This can work so well for older kids, and helps to teach turn taking and tolerance too. Don’t force empty plates- and watch your portions! Sometimes children can become overwhelmed by the sheer amount of food on their plates. Take a look at this handy guide to children’s portion sizes to check you aren’t piling on too much when you’re dishing up. Another excellent tip at mealtimes is to reassure your child that you don’t expect them to eat everything on their plate. This can work wonders for relieving the stress that some children feel at mealtimes, and will help to reduce your anxiety levels too. Sometimes it helps children to know exactly how much you expect them to eat, so maybe start with ‘let’s try three carrots first’, and move on from there. Ultimately it’s a good idea to allow your child to lead with their own appetite at mealtimes. Now, why should your child ‘eat up their greens’ if they don’t see any on your own plate? And how can they be expected to sit nicely at mealtimes if you are either on your phone, or not even sitting at the table with them? We are our children’s role models and they will only learn good table manners if we show them. Studies have also found that children respond well to sitting down at a table to eat too, so don’t be tempted to eat in front of the TV every night. Make family meal time an occasion to look forward to every day if you can. It’s not always possible when you’re busy, but you will see the difference if you do make time. 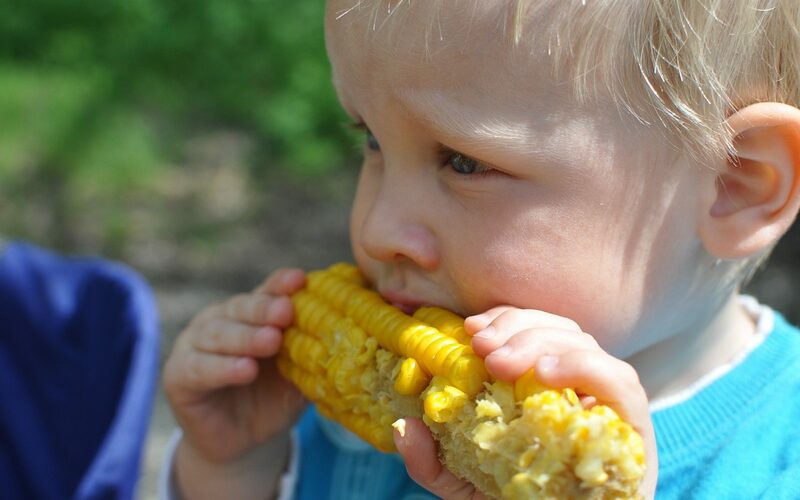 Kids are never too young to learn the origins of their food, and they’re like little sponges with new information! So tell them what they’re eating, why it’s so good for them and how it’s made too. Let them come with you to dig up potatoes from the garden, or to the supermarket to choose ingredients for meals etc. What are your top tips for fussy eaters? As your baby grows older, more and more exciting experiences await you both! One such experience is weaning. The end of your breastfeeding journey may seem like such a long way away, and it probably is. But from the age of around six months or so, your baby will start to explore new tastes and textures that are so vastly different from milk. This is where the fun starts! 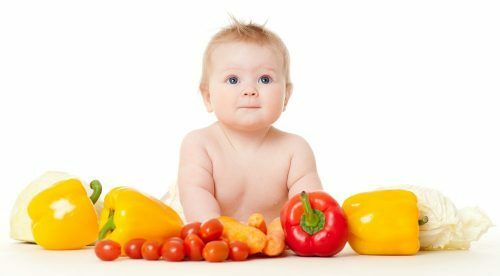 These days, baby led weaning is often recommended for babies over the age of six months, because it is a valuable way to teach your baby about those new tastes and textures without limiting her need for exploration and sense of adventure. Here are our three top tips for making the most of baby led weaning. Enjoy! So when you present your baby with a selection of foods and allow her to pick them up, taste them, play with them and finally eat them, you are assisting her in more ways than one! Chances are, as baby learns how to chew and to break down food in her mouth, she is going to gag now and then. This is when food hits the back of the throat, and is not the same as choking. Gagging is a normal reflex that we all have, and for babies it’s important because it helps to teach them how to eat. Your baby will make a noise when she gags, but it will not bother her. She will move the food and she will continue to eat. Choking is different, because if your baby is choking she will not make a noise because her airway is blocked. Your baby will become frightened and you will know the difference when this happens. There is no real way to prevent choking during baby led weaning, but there are precautions you can take. Make sure that food is cut into bite size pieces, and make sure that you fully supervise feeding times. Baby should be sitting up during mealtimes and not leaning back in anyway. It’s also a great idea to enrol on a baby first aid course so that if choking occurs you will know what to do. ● Pop a waterproof mat (or an old shower curtain) down on the floor to catch fallen food. ● baby is not tired, or too hungry- offer milk first, and view solid foods as an exploration rather than a meal, at first. Are you ready? It’s an exciting time, but it’s not without it’s stress too. Take each day as it comes, and don’t expect too much from your baby. 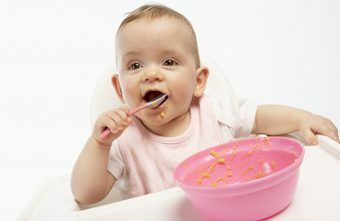 If you are relaxed and happy at mealtimes, she will pick up on this and is more likely to grow into a happy eater. Good luck… and have fun!